Caring for and growing columbines is not difficult, and you can begin the process today by following the simple instructions outlined in this article. While there are many aesthetically appealing plants that one could opt to grow in their garden, columbines are a particularly attractive plant. The columbine plant (which is officially referred to as the Aquilegia), is a perennial that is relatively easy to grow. In the spring, the columbine blooms in a plethora of comely colors, and the beautiful shades emerge from the plant’s appealing foliage which turns maroon during the fall. Additionally, the bell-shaped flowers can be utilized for cut-flower arrangements and are a hummingbird favorite. In recognizing what an aesthetically appealing and functional plant the columbine really is, individuals who are interested in optimizing their garden may want to learn how to grow the plant. The ideal time to plant columbine flower seeds is any time between the early spring season and the onset of mid-summer. As long as the columbines are being provided with ample amounts of light, you will not need to cover them. The plants grow readily from seed and will multiply quickly once they are established in good soil, meaning that gardeners looking for a relatively easy plant to grow have found the answer in the columbine. 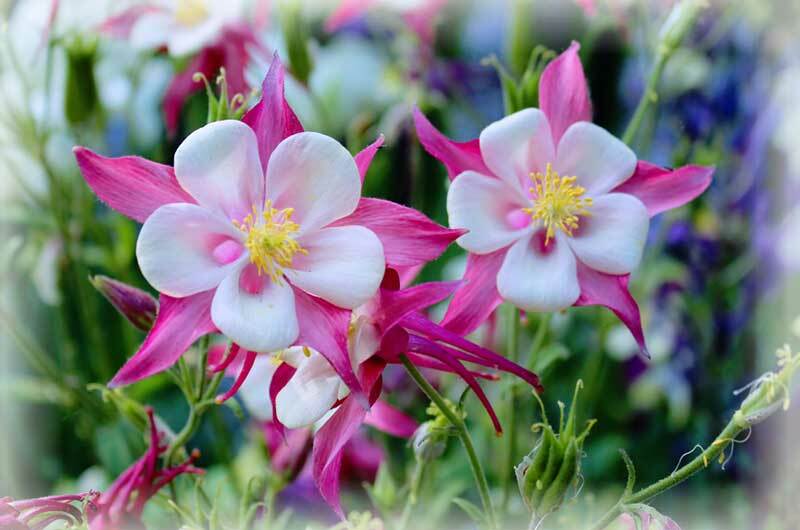 As you begin the process of planting the columbine, note that the blooms will not appear until the second year. In order to keep your columbines in pristine condition, it is important that you care for them well. To do so, they must be kept very moist during their initial stages of growth. Typically, this can involve watering them each day, but you should be able to look at the plant as well as the surrounding soil in order to determine whether they require water or not. Once the plants are established, you will typically find that weekly watering is sufficient maintenance to keep them in optimal condition. However, it is important to note that there may be some situations (such as extended periods of drought) during which the columbines require extra watering. In addition to ensuring that your columbines are well-watered, it is important to note that they need to be provided with a water soluble fertilizer each month. 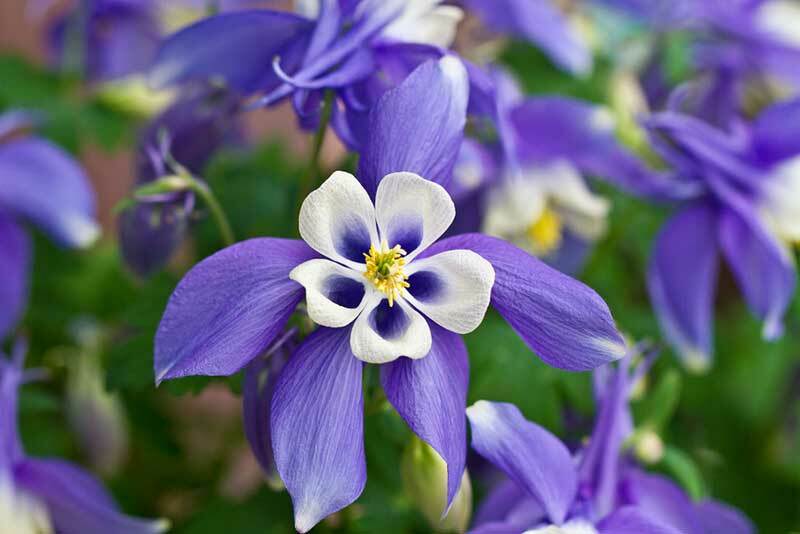 When you fertilize your columbines regularly, they will produce thicker, fuller foliage as well as brighter blooms. Given that optimizing the blooming process of the columbine is integral to maximizing its aesthetic appeal, it’s important to note that regular deadheading can be utilized to precipitate additional blooming. While columbine plants do not suffer from a great deal of issues, insect pests can periodically be a problem. However, tenable solutions exist, so gardeners need not worry about these pests compromising the aesthetic appeal or livelihood of the plant. If one notes the presence of troublesome pests, the plant can be effectively treated with neem oil. As made plain by the brief outline provided above, columbines are absolutely amazing-looking plants that can contribute to the cultivation of a beautiful garden. Caring for and growing columbines is not difficult, and you can begin the process today by following the simple instructions outlined above. In so doing, you will likely find that your garden becomes the beautiful haven that it should be. Good luck!